The Church is called to be the Bride of Christ as well as an army. As we approach the end of this age, we will begin to take on more of the nature and demeanor of both…. In this time, God is moving again with fire – holy fire – and the fire of His manifest presence is coming upon the priesthood… to bring restoration of all things and purify our offerings…. The mature sons, the priesthood, are being birthed. The Earth and all of creation is waiting for the manifestation of the sons of God, the time when they will come into their maturity and immortalization…. Earth and its natural creation is anxiously waiting for the Church to reach full maturity and come to full sonship. When the Church realizes its full sonship, its bodily redemption will cause a redemptive chain reaction throughout all creation. The passionate love of God manifesting now in the hearts of God’s people by the Holy Spirit is birthing the full grown body of Christ. There is a time of birth without tolerance. At the precise moment, in the thousands of years of God’s dealing with man, when it is time birth comes. Anyone who would stand against the birth of the fruit of God’s passion will meet the passion of God’s flaming sword in the hands of His powerful angels. The New Apostolic Reformation (NAR) and IHOP serve together as the chief mouthpiece for the old Latter Rain/Manifest Sons of God (MSOG) teachings. IHOP spreads the leaven via its broad scope of interrelated ministries and youth organizations, including an expanding outreach into the mainstream evangelical world. The NAR spreads its leaven throughout the charismatic world, and reaches a much broader audience via their many media outlets. Both movements teach virtually the same thing. IHOP and NAR both proclaim that it is the time for their followers to be armed, trained and ready for battle. This is about a holy war. 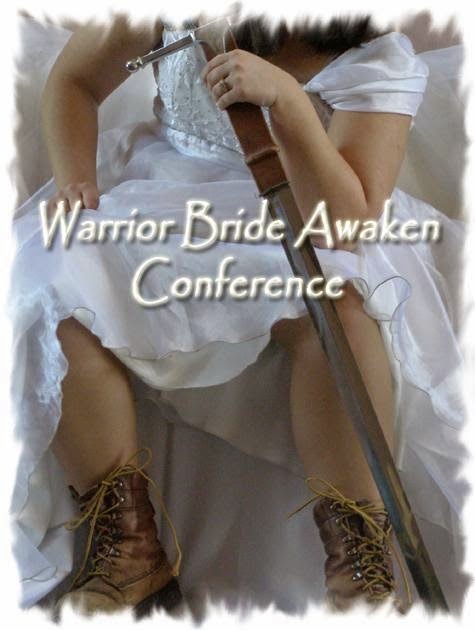 Exhibit 2: The Warrior Bride with combat boots. Christ is calling to His bride to awaken in this hour! To awaken from her slumber, complacency and to awaken to her place as a mighty warrior in the body of Christ! 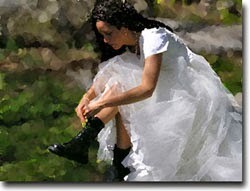 "Warrior means a person engaged or experienced in warfare while Bride speaks of a very intimate partner. Isn't it interesting? This paradox God has set before us? 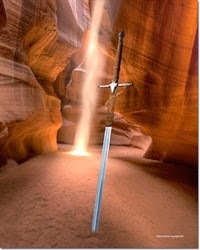 To be warriors of warfare while being intimately in love with our Bridegroom. 2003 the Church will begin moving into Phase 3 of the 3rd and Final Apostolic Reformation. This Final Apostolic Reformation contains 5 movements or they can be called 5 phases. The Church which is walking in present truth is moving into Phase 3 in 2003 which is the Saints Movement. We’ve crossed over the Jordan. The moment you cross over Jordan you’re going into warfare…. In this movement, it is constant warfare and you don’t stop until all of Canaan is subdued and the children of God are ruling and reigning. But who is in charge of the sickle of judgment over nations? According to some NAR eschatology, the Warrior Bride wields the sickle and is in charge of the harvest as the agent (or incarnation) of “Christ” on earth. As “Joel’s Army” she will begin wreaking judgment on those nations (and individuals) assessed as goats. What is holding her back? She is awaiting the imminent return of the “Presence” spirit that will outfit her in full military regalia, dress her in combat boots, arm her with weapons, and equip her with supernatural powers—even immortality. True warriors always run to the sound of battle, not away from it. This is the time when the true soldiers of the cross are mobilizing. We must each take our place in His army…. When I was praying this morning, I saw a large ball of fire come out of heaven. It came right at me and I knew that there was no way I could avoid it, so I didn't even try. It hit me right in the chest. I was then shown the most beautiful bridal dress I have ever seen. It was truly from out of this world, supernaturally beautiful. Then the voice of the Lord came to me and said, "Help My bride put on this dress." The great army of God is now being mobilized in thousands of locations. It is going through basic training…. The Bride is also an army…. The spiritual drill sergeants are being released to get the army ready for battle. Warfare is conflict. The concept of war is simple—we are seated next to a risen Messiah. When He arose from the dead and ascended to His Heavenly position to rule and reign, He prepared a place for us to sit next to Him. Through His Blood, we can enter into the Throne Room and gain Father's heart over any matter. Then, from our seated position, we can walk in the earth clothed in His glory and dispel darkness. He came to overcome the works of the devil, and we can do this as we remain in Him…. So dominion is the goal. But also note the reference to “Garden” dominion. This has to do with their belief in “restoration” of creation – that they can restore paradise conditions here on earth. They even believe they can bring heaven to earth. Ron McGatlin is an “apostle” who boldly proclaims the Latter Rain endtime eschatology. He is very sincere, but he teaches a kingdom gospel. In his regular e-mail newsletter he talks about an endtime cleansing or harvest of the earth. His theology closely approximates that of the New Age Movement. Like his NAR and IHOP counterparts, he is expecting an indwelling “Presence” for endtime supernatural powers. In his statements can be seen the dialectic conflict between “love” (the Bride) and a terrible-sounding cleansing (the Army) of the planet. God is preparing a people who will work in conjunction with myriads of powerful holy angels to cleanse the earth with the fire of God. After all that exalts itself against God is dissolved, the holy sons of God will shine forth as the sun replenishing and restoring the earth to the kingdom of our God on earth as it is in heaven.…. This is the year the army of God comes together with angels beyond number and weapons that cannot be defeated by the enemy. Angels are here now preparing the Body for the harvest and there will be a mighty victory…. The Church is entering an age of militancy and spiritual confrontation. The "end of days" is characterized with great conflict. The struggle between "light" and "darkness" will continually escalate. We are entering days that will introduce amplified revelations of God's Kingdom and Heaven's spiritual economy. The Bible plainly foretells this battle as violent and spiritually bloody. The Kingdom of Heaven truly suffers violence and God's army must take it by force…. It is the destiny of this generation of overcoming saints to enter the "fullness of the stature of Christ." Great warriors will emerge in this hour. The Holy Spirit is preparing a body of people to expose spiritual gates and open everlasting doors that the King of Glory may come in. He will reveal Himself as the awesome man of war Who is strong and mighty in battle…. Substantial authority will be given to this warring band to sever the head from spiritual influences that have successfully stolen the inheritance of God's people…. The graphic above accompanied the Davis article. Like Davis, many in the NAR teach that God is “downloading” new strategies and revelations. In other words, they can teach new doctrines. You and I are alive in the time of these fulfillments beginning to come to pass in our world. And as hard as it might be for you to believe, we have a part in this sovereign move of God. There must be pure and holy mature sons of God in whom Christ Jesus fully dwells to bring forth, beyond the cleansing judgments, the new world governed by God. You and I are the seeds of Christ sown into this world for such a time as this. This statement about “cover of darkness” does not agree with any Scripture. Jesus Christ professes that He is the Light and His Gospel gives light: “Then spake Jesus again unto them, saying, I am the light of the world: he that followeth Me shall not walk in darkness, but shall have the light of life” (John 8:12), and “For God, who commanded the light to shine out of darkness, hath shined in our hearts, to give the light of the knowledge of the glory of God in the face of Jesus Christ.” (2 Cor. 4:6). See also John 12:46, Acts 26:18, Rom. 13:12, 2 Cor. 6:14, Eph. 5:8, 1 Thess. 5:5, 1 Pet. 2:9, 1 John 1:5, 2:8. Note: If a spirit is coming in darkness it cannot be the Holy Spirit. This is why mature sons of God had to be coming forth before the reality of the kingdom and the ruling city of New Jerusalem could begin to be formed on earth…. Thus McGatlin is yet another leader teaching the Latter Rain doctrine about a Second Pentecost (see Part 5) and Warnock's allegorical Feast of Tabernacles. Prophetic evangelism has grown stronger as the Church has matured into a clearer understanding of her bridal intimacy with her Bridegroom Jesus, along with the governmental empowerment (the “bridal rule”) of God's people. The restoration of David's Tabernacle… shall escalate resulting in authentic 24-hour houses of prayer and praise, worship and intercession sprinkled across the nations. New creative songs and sounds shall emerge…. A new Signs and Wonders Movement is growing…. 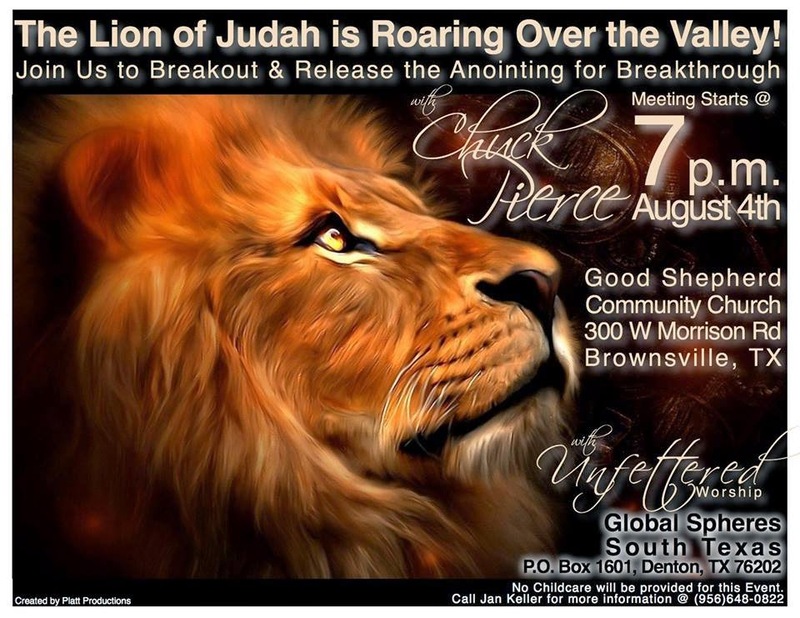 This move of God will be so powerful that the Church will gather in stadiums to worship…. A renewed Quietist Movement will emerge as Believers in Christ find the "secret place" of the Most High to truly be their dwelling place…. A fresh revelation of intimacy with God, communion with their lover/husbandman and Master will come forth…. 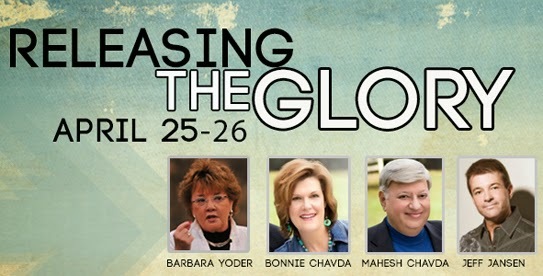 An extravagant Youth Movement is coming to the global Body of Christ that will "rock the nations". 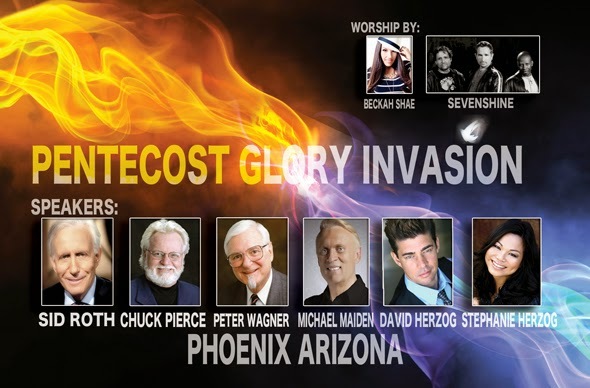 Public events will be led by youth to pray and fast for revival, which will spread rapidly around the nations…. A "Mary Company" of God lovers is being raised up in this hour. It's a company of men and women who cannot and will not do anything outside of the presence of God. Like a new breed of Marys on the rise, God has implanted His divine seed in the hearts of many women around the world who hear His voice—who are being trained, who mother in the natural and in the spirit, who have nurtured, who have fought like an army of Warrior Brides, who have been faithful in times of persecution and times of hardship. They are making room and preparing the way of the Lord for a supernatural move of the Spirit to accomplish His will on the earth as it is in Heaven. Recently, the Lord revealed to me that we are entering into a season of sweetness and awe. He showed me how we can position our hearts to become an open portal to Heaven – where God infuses us with His presence and revelation abounds – flowing to us and through us in naturally, supernatural ways…. I changed the language of my prayers, calling Jesus “My Love”. Immediately, I felt His presence drawing nearer…. Lovers see the signs of love wherever they travel. Paying attention to these signs and wonders cause you to tune into the personal, intimate ways God speaks to His beloved – you! And it positions your heart to receive greater revelatory encounters with Him and walk in a supernaturally, natural way…. This seductive language creates a mood. It amplifies passion. It is also an essential way to inculcate the Latter Rain doctrines via emotive experiences. We are now entering a season of harvest and a time that will be known as the Bride's Revival… when the Bride of Christ emerges in maturity and surrendered devotion to the Bridegroom…. 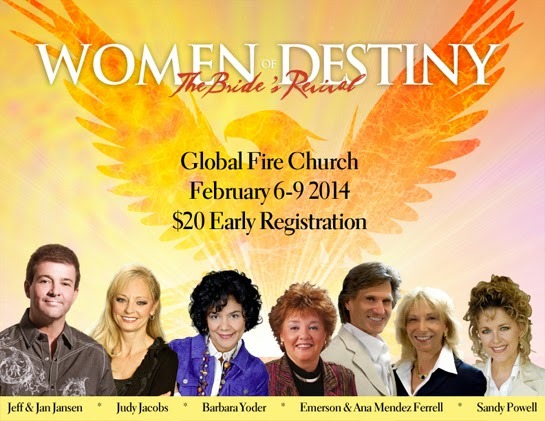 Following that, the greatest harvest of souls throughout the earth will transpire in the Bride's Revival…. Who is in charge of this sickle of judgment over nations? According to Latter Rain doctrine, the Army Bride wields the sickle and is in charge of the harvest as an agent of "God" on earth. Note the reference to wealth. The NAR believes they will get rich from the spoil of this harvest. This is the year the army of God comes together with angels beyond number and weapons that cannot be defeated by the enemy. Angels are here now preparing the Body for the harvest and there will be a mighty victory. Reading through this confusing maze of violent rhetoric, it seems plausible that at some point the apostolic leaders may trigger a switch and call for a real war with real weapons in their passionate zeal for taking over the earth. One must always keep in mind that in Latter Rain eschatology there is only talk of enemies and war. It is us vs. them. The Gospel of Salvation is missing in action. Do not make the mistake of brushing aside the Bible for the sake of dramatic kingdom manifestations, and start pursuing the false revelations of self-imposed prophets and prophetesses. 3. Bill Hamon, The Eternal Church (Christian International Publishers, 1981), as quoted in the critical commentary booklet Joel’s Army http://www.discernment-ministries.org/JoelsArmy.pdf Emphasis added. 4. Ron McGatlin, “Unrelenting Love,” OpenHeaven.com Digest, April 15, 2014. Emphasis added. 22. This phrase has been used by other Latter Rain teachers in the NAR. See the Herescope post on February 22, 2008, http://herescope.blogspot.com/2008/02/dread-champion-army.html which cites Ryan Wyatt’s use of this phrase. 24. Conner, “Dread Champion Army,” Ibid. 34. Prophecy attributed to Bob Jones in “Tribute to Bob Jones: One of the Very Last Prophecies by Bob Jones - Vision of the Apple Tree and the Coming Promise,” TheElijahList, Feb. 21, 2014. Jones passed away on Feb. 14, 2014. 37. Ron McGatlin, “Pure Love: A Scarce and Treasured Commodity,” OpenHeaven.com Digest, May 17, 2012. 39. McGatlin, May 17, 2012, Ibid. 40. Ron McGatlin, “Heaven’s Intervention,” OpenHeaven.com Digest, Feb. 6, 2014. 43. Ron McGatlin, “Unrelenting Love,” OpenHeaven.com Digest, April 15, 2014. 45. James Goll, “Doing the Double,” Ibid. 47. James Goll, “Paradigm Shifts,” Ibid. 48. Goll, “Paradigm Shifts,” Ibid. Goll says that he wrote these prophecies “12 years ago” and they appear in his book The Coming Prophetic Revolution. 49. TheElijahList, June 8, 2013, advertisement for “Women of the Presence" conference. 54. Henry Falcone, “A Transitional Mantle – Divine Positioning,” published by Ron McGatlin’s OpenHeaven.com Digest, March 20, 2014. 55. Paul and Wanda Davis, Ibid. 57. “Tribute to Bob Jones: One of the Very Last Prophecies by Bob Jones - Vision of the Apple Tree and the Coming Promise,” TheElijahList, 2/21/14, http://www.elijahlist.com/words/textonly.html?ID=13139. 58. Bob Jones’ prophecy. Ibid. Bold in original. 1. "The Bride Prepares." This graphic was advertised on TheElijahList on March 30, 2007, in a post titled "STUNNING PROPHETIC ART," The artist was said to be Chris Fields, and the cost was $20.00 for an 11" X 14" print. The original link was http://www.elijahlist.com/words/display_word_pf.html?ID=5133 but it no longer works. 4. "Prepared." This graphic was advertised on TheElijahList on March 30, 2007, in a post titled "STUNNING PROPHETIC ART," The artist was said to be Chris Fields, and the cost was $20.00 for an 11" X 14" print. The original link was http://www.elijahlist.com/words/display_word_pf.html?ID=5133 but it no longer works. 6. TheElijahList, June 8, 2013, advertisement for “Women of the Presence" conference. 7. TheElijahList, December 1, 2013, advertisement for "The Bride's Revival" conference. 8. TheElijahList, June 18, 2012, advertisement for "Women of the Presence" conference. The promotional material stated: "It's a new era and God is visiting women with a freshness of His Presence and empowering them for new assignments. Women are uniquely created to be carriers of God's Presence wherever they are."